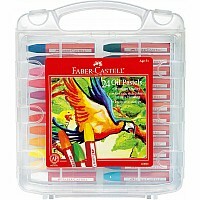 New from Faber-Castell are these wonderful oil pastels pencils in the triangular grip design. 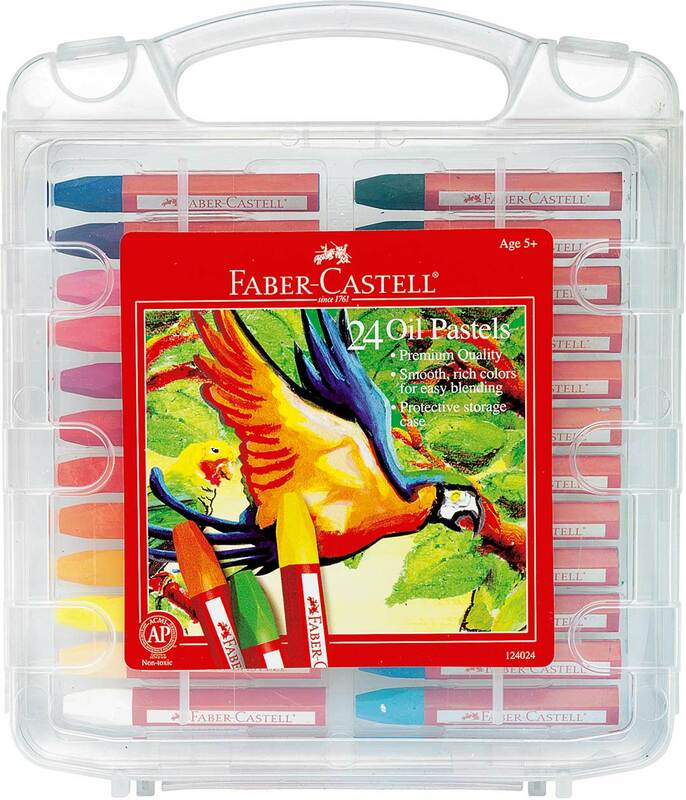 You won't believe how easy it is to get started in oil pastel art with these smooth rich colors, which blend together so easily. Just rub two colors together and create a new color, add black to shade or add shadows. The package features a handy color mixing guide too. Non-toxic, ACMI approved and safe for children. Measures approximately: 7.50 x 1.13 x 9.88 inches..